For nearly a decade, a Shepherd mix has been a familiar sight in two uptown New York City parks. And for nearly a decade, the stray, who’s been called Ricky, has managed to elude all efforts to catch him — until this week. 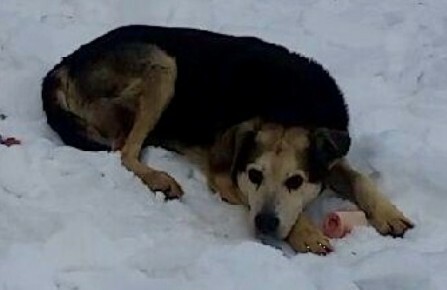 Tina Ilmet and several of her neighbors who live near Highbridge Park in Washington Heights were concerned the senior pooch would not survive recent record-breaking, single-digit cold temperatures, with a wind-chill factor of minus 22 degrees. Ilmet, a professional dogwalker, even slept in the park to help bond with the dog. This week, Ilmet and her neighbors were finally able to get Ricky to hop into a van. They took him to BluePearl Veterinary Partners for an examination. The animal hospital’s veterinarians told NBC Ricky — whose name they changed to Charlie — was lethargic at first, but showed improvement after a couple of days. Their main concern is Charlie’s mental condition. “He probably feels like he was abducted by aliens and he’s just not used to all this,” Dr. Boaz Levitin told NBC New York yesterday. The good news is that, after spending so much time bonding with the stray, Ilmet has officially adopted Charlie and is spending time helping him adjust to life with a loving family and a roof over his head. A “Highbridge Charlie” GoFundMe.com site has been created to help cover the cost of the dog’s veterinary care. As of Saturday morning, about $14,600 has been raised. According to an update on the site yesterday, Charlie has been vaccinated. When his condition stabilizes, he will be neutered. “He is a handsome mutt that was never dangerous. 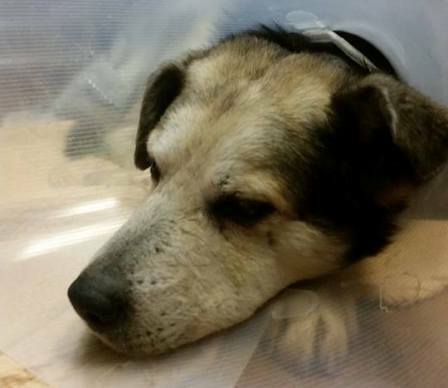 This stoic old boy needs some help with vet bills,” the site says.